Joan Barnhart Obituary - York, Pennsylvania - Burg Funeral Home, Inc.
YORK Joan K. (Gibson) Barnhart entered into rest on Saturday, April 14, 2012, at Pleasant Acres Nursing Home at 6:31 p.m. at the age of 81. She was the wife of Robert D. Barnhart to whom she was married on November 20, 1960. Born in York on July 7, 1930, she was the daughter of the late Charles and E. Martha (Berger) Gibson. 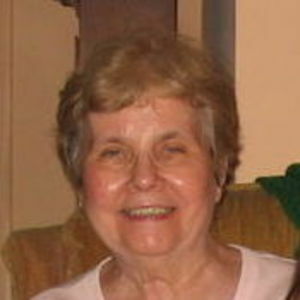 She was a secretary for various places in York County and a longtime member of St. Matthews Lutheran Church in York. In addition to her husband, she is survived by three sons, Gregory Sheaffer and wife Lori of York New Salem, David A. Barnhart and wife Carmen of York, and Steve D. Barnhart and wife Lorna of Ellicott City, Md. ; six grandchildren: Amanda Sheaffer, Andrew Sheaffer, Anthony and Abigail Barnhart, Jessica Gambrill and Hannah Barnhart; and one brother, Donald Gibson of Weatherford, Texas. 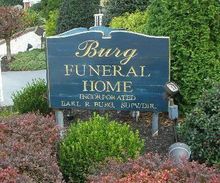 Viewings will be from 9 to 10 a.m. Thursday at Burg Funeral Home, Inc., 134 W. Broadway, Red Lion. The service will be 10 a.m. Thursday at the funeral home with her visitation pastor, Rev. Diane G. Wenthe, officiating. Burial will be in Susquehanna Memorial Gardens. Memorial contributions may be offered to St. Matthews Lutheran Church, 839 W. Market St., York, PA 17401.